A 56-page booklet entitled 'OTHL JOURNEY 2018' has just been released. The work encaptualtes all activities and achievements of the organization exclusively for 2018. Visiting volunteer-couple from England, Bhavdeep Virdee and Triupti were kind enough to release it amids our kids in Indian Garden on Friday, the 15th March. Our boys who have just completed their annual examinations, assembled on the venue to chart out road map for Summer. The Summer seasons are usually a busy one. Besides State Championships, vigorous camps are organized. Nirmal Jeet Singh and Rajey Rawat, our long standing volunteers, too were present on the occasion to guide our kids. 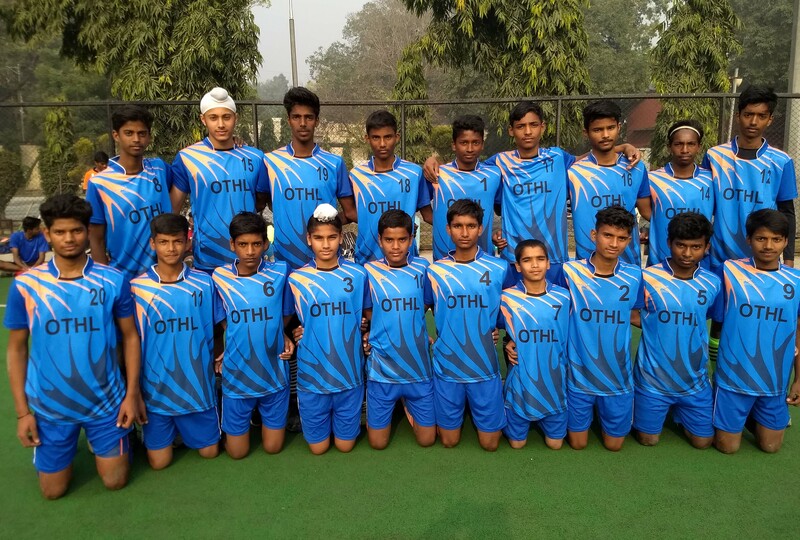 ICING ON THE CAKE: On 24th March 2018, OTHL made its own history. They won an exciting final in style on penalty shoot out. The IIT-Delhi ground was swellon with enthusiasm and joyful tears. 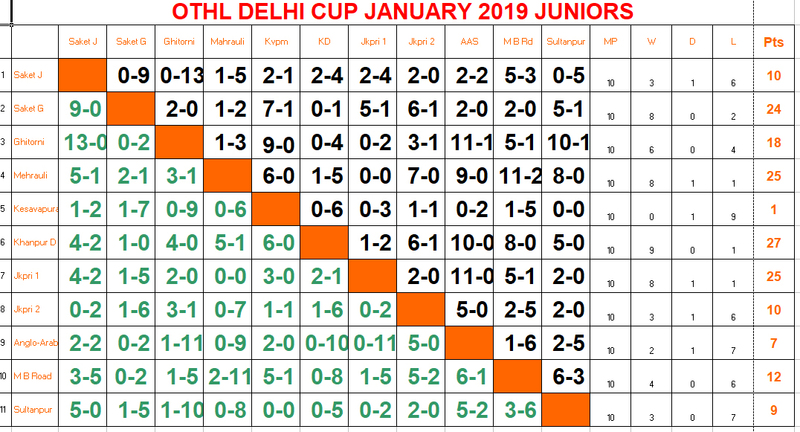 With all win record, the OTHL boys have just won their maiden Delhi State Championship (Sub-Junior). With Abdul Qadir & Shlok Tiwari at defence, Aniket Kumar and Sanjay Soni at pivot and Deepanshu Kumar under the bar, a fulfilling moment had arrived for OTHL. The victors: Deepashu Kr, Anwar Hussein, Abdul Qadir, Shlok Tiwari, Ankush Kumar, Aniket Kumar, Himanshu Patel, Sanjay Soni, Rahul Jha, Ritik Maheswari, Aditya Kumar, Sachin, Abhinandan. OTHL felicitated the boys with a specially designed 'Winners' jersey. They were also introduced to some Living Legends of hockey. 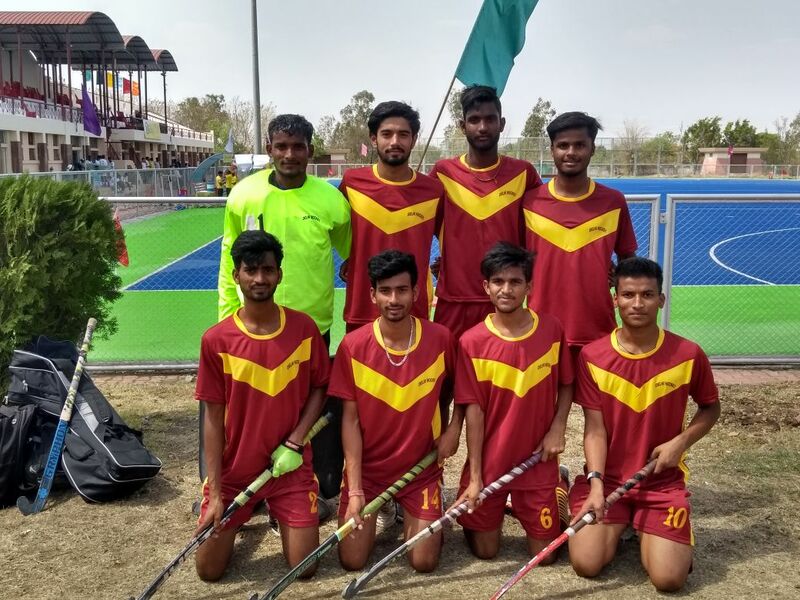 SUPER 8 in Delhi State team: Eight One Thousand Hockey Legs boys have made it to the Delhi State team for the Hockey India Junior National Men's National Championship (A Division) held in Bhopal, April 2018. Its a creditable performance for an NGO to produce so many players for a vibrant State like Delhi. Defender Kishore Arya and Rohit Gharai, forwards Rahul Gharai, Abhishek Rana and Sunil Kumar, midfielder Sushil Chauhan, defender Amit Gupta and goalkeeper Md. Zaseem made us proud when they knocked the doors of Delhi Hockey with superlative performance in the selection trials. A fortnight long trial was held in Delhi's Jamia Milia grounds where our boys came out with colours in a tight contest for each spot in the team. 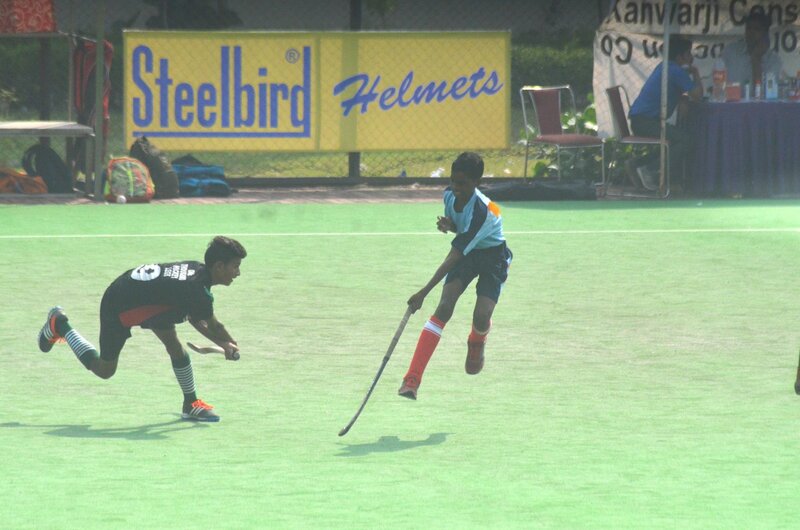 Now, the OTHL boys have set a high benchmark, and it needs to be kept up in the future. BRONZE at JUNIOR STATE CHAMPIONSHIP: They had many narrow misses and heartbreaking loses in the past. Such stories are now a passe. 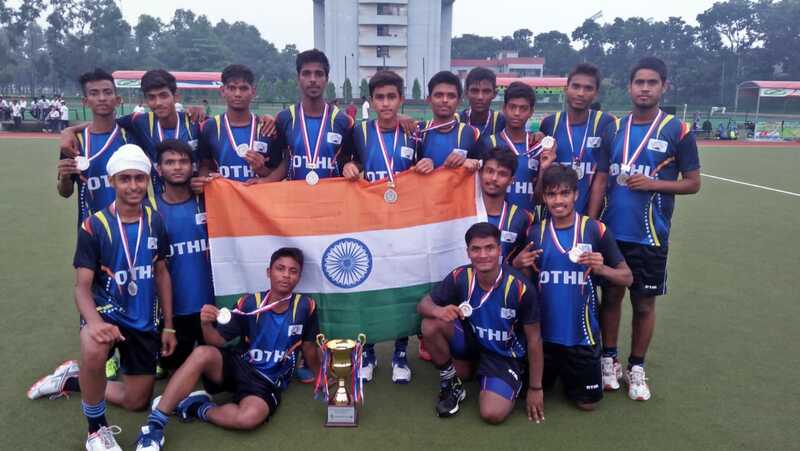 The OTHL team this year got their first bronze in the Delhi State Junior Championship. They lost the semis narrowly, one of the reasons being some talented players in the team had to leave midway to participate in the in distant Raipur ( All India Nehru Cup, Chhatisgarh). They gave vent to their anger in the bronze match, beating a State Centre team handsomely, 6-1. BHAIYAs BLUE ARMY: The process has been going on so far on its own. Its natural thing that works with young kids. 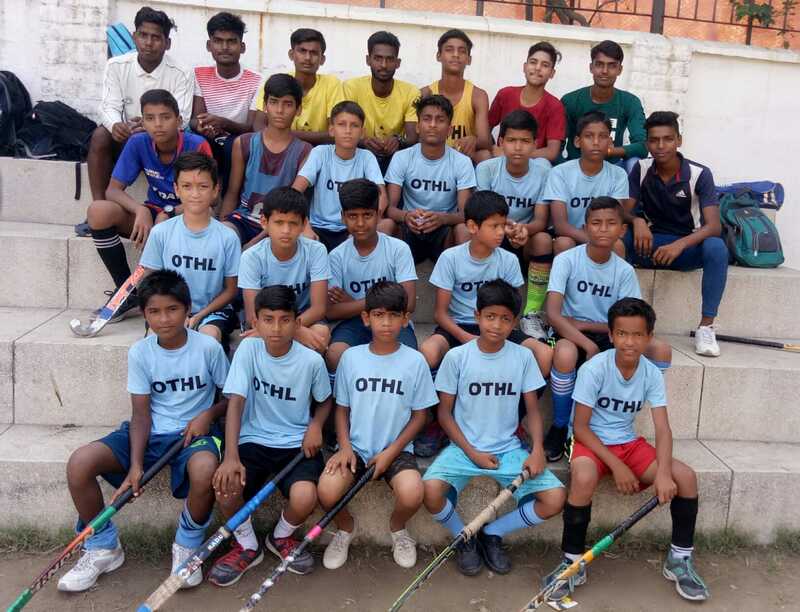 Knowing its significance, OTHL has launched a scheme to synergize seniors (known as Bhaiyas in school hockey parlance) to train new comers, mostly from Class VI. About 20 Senior boys who has a knack of keeping younger kids glued to hockey, were pressed into duty this season. They will supplement State Govt's Summer Camps in each school. At the end of three months, these trainee-coaches are expected to give at least 25 kids for Induction Cup. This is an experiment if successfull will go a long way to make OTHL more vibrant and long lasting. Will the BLUE ARMY help bloom hockey revolution? Let's wait and see. 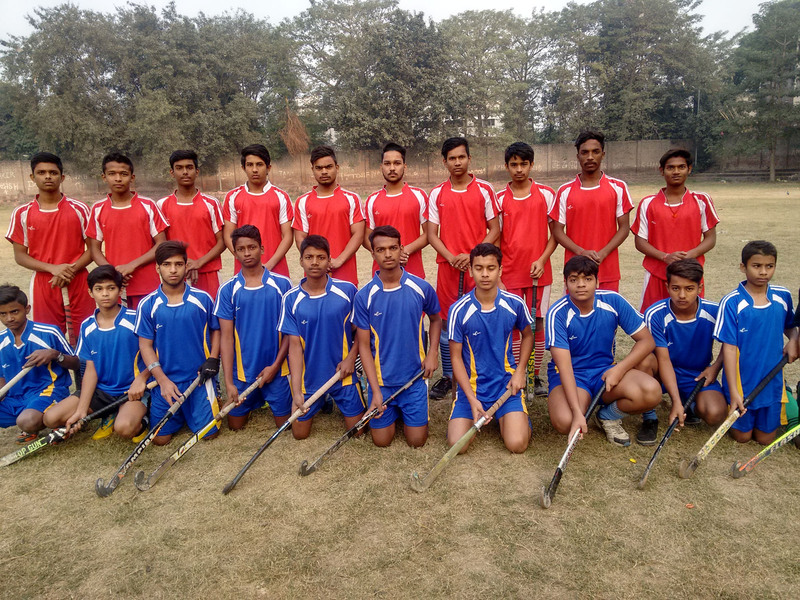 SENIOR TEAM FORMED: OTHL is a school hockey program. 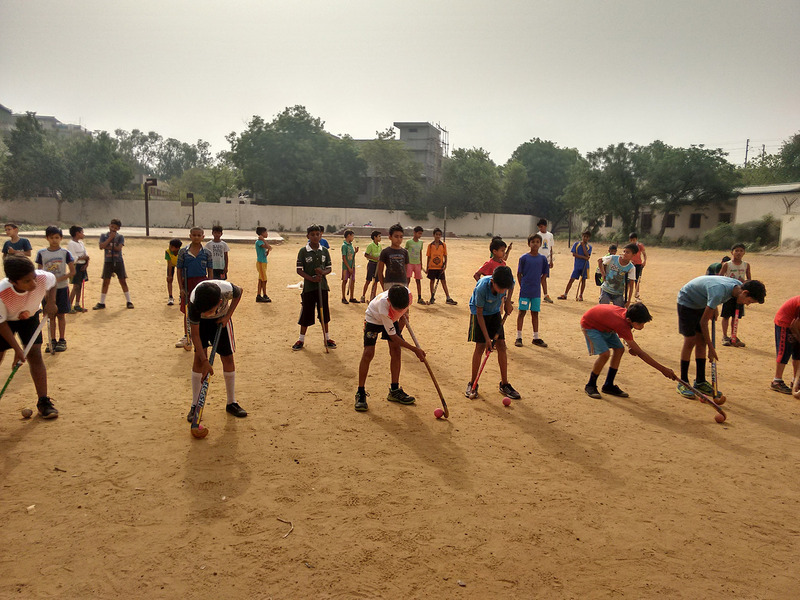 However, it is observed that our talented players, who completed their school studies, could not find any platform to pursue their hockey interests. On popular demand of old OTHLites, a OTHL Senior team was formed in the early 2018. They were sent to many tournaments across India -- in Jhansi (UP), Bina and Katni (Madhya Pradesh) , Raipur (Chhatisgarh) etc. Helped by the kind of exposure they got, the JUNIOR s could build a crack outfit. 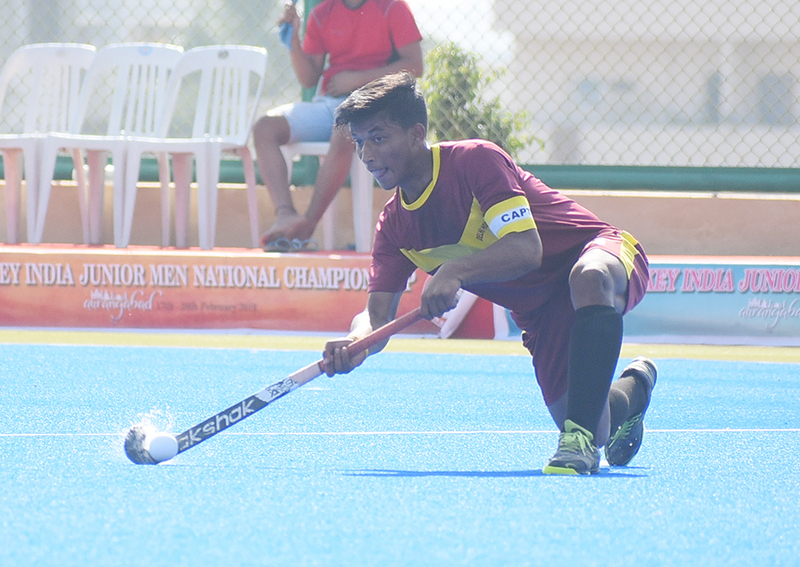 The experience played a big role in 8 of our boys getting selected for Delhi State team for the 8th Hockey India Men's Junior National Championship (A Div) held in Bhopal (MP) in May 2018. SILVER AT BANGLADESH: OTHL was honoured to get invited for the U-21 BKSP Cup held in Dhaka by the Bangladesh Institute of Sports (BKSP). Hockey India was quick to welcome and accord all clearances. Our team beat many fancied outfits to enter the final where the hosts won the crown. It was an all round superb performance by OTHL on foreign soils. Goalkeeper Deepanshu Kumar was declared Best Player of the tournament. The victors: Deepanshu Kumar, Zainul Samar, Sagar Chandra, Farman Ansari, Faiz Alam, Ritik Singh, Vicky Varma, Vicky Kumar, Sanjay Kumar Soni, Shlok Tiwari, Pawan, Rahul Jha, Md. Sarfaraz, Gulshan Prasad, two guest players. Manager: Sandeep Kumar. Sandeep Kumar and Somesh Chhikara were the coaches.